#!/usr/bin/geek: Another D700 Spy Pic? What lens is that? Nikon 105mm f/2.0D AF DC, 135mm F2 D/DC, or something new? The more I look at this one the faker I think it looks. 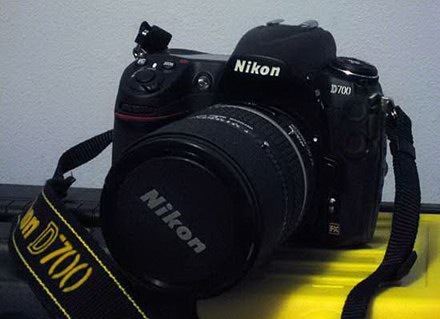 Get a real Nikon D700. That said, Nikon has indirectly confirmed the brochure photos making the rounds are authentic. Fine by me...I was recently shopping a D3 and am glad I didn't pony up for one. From the test shots I made, I concluded that 70% of the total retail price is going towards premium build quality and high end features, as opposed to image quality. A D3 costs almost 10x what my old XT goes for, but it doesn't deliver 10x the image quality, even with the superior high ISO gain processing. I'd say it's more like about 2x the image quality. Other's mileage may vary, but it looks like the 700D will be right in the sweet spot for price, build and image quality for me.